Password login..? We'll make it a history. No need to remember every Login Password from now on. A websiteâs user interface is simply how well an online visitor interacts with a particular website. This counts the required inputs as well as how mesmerizing the resulting output can be from a website that is being visited. When a website is designed to be highly intuitive and easy to use where information can be readily accessed it is considered to be a website with good user interface. 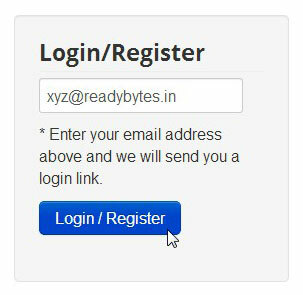 Our automatic Login-As-Well-As-Registration product BYE BYE PASSWORD will strive to push your website a notch closer to having a Good UI with optimum security. Is BYE BYE PASSWORD a theme for site ? No, it is not a theme or any cosmetic upgrade to your site. It is a functional upgrade for Joomla Sites worldwide. BYE BYE PASSWORD will reduce the mental stress of your websiteâs user. As it will facilitate a password less login to them. So, they will just love to login without the need of a PASSWORD on your site. The registration process will become simpler and inviting, hence increase in revenue. Users need not to enter and remember their password for logging in. A login link is sent to the email address everytime, to authenticate the user. Login link expires after your siteâs session lifetime in the backend is over. More security from Hackers as SQL injections in the login form is non existent with BYE BYE PASSWORD. It is FREE-2-USE, no charge at all to secure your Joomla site. Just download and use. How does BYE BYE PASSWORD work? Install the Bye Bye Password package. Enable Bye Bye Password plugin at backend. 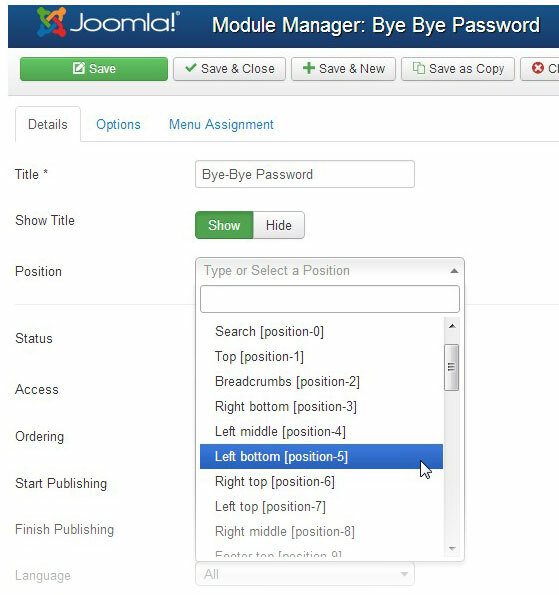 Enable Bye Bye Password module, configure it and set position to display module. At front-end: Enter your email address to register or login. If the email has not been registered before then an account will be created for the email automatically and at the same time a login link will be sent to the email address. If the email is already registered as a paid user then a login link will be sent to the email address directly with proper privileges according to the plans. Now, when a user clicks on the login link in the email, he will be redirected to your site and marked as logged in. This login link is valid upto the session lifetime of your site. After that user need to generate the login link again. 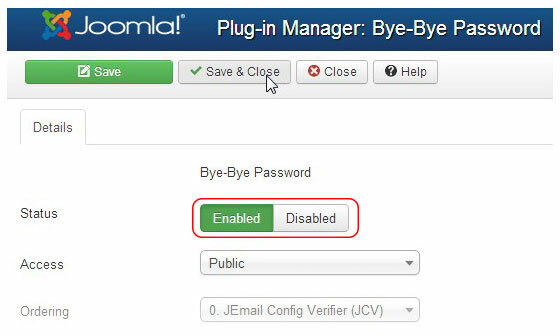 So, a brand new free gift to our beloved Joomla Community this season is BYE BYE PASSWORD. Further you can increase your online security by combining Two Factor Authentication on your Emails to ensure a very safe hack free online presence. Do let us know for any added features that you wish in this. We will definitely consider your wishes.